I felt tremendous pride seeing what Israel has achieved. Those who criticize Israelis’ behavior haven’t lived through the existential challenges that Israelis have had to endure for nearly three-quarters of a century. A friend of mine returned from a trip to Israel this week. She lived in Israel for a number of years and considers herself an ardent Zionist. However, she said she was very disappointed by what she saw in Israel this time around. “Very materialistic”, “arrogant and aggressive,” “Tel Aviv is just another big city with tall buildings” … you get the drift. Another friend of mine, upon reading an article I wrote about the subject of dual loyalty, told me that he, along with many of his fellow American Jews, despise the Likud Party and Benjamin Netanyahu and cannot in good conscience support Israel’s political or military actions. I look at things very differently. When I was last in Israel about a year ago, I was practically giddy with joy. I thought back to the ’50s and ’60s when my parents sent care packages stuffed with clothes and dry foods every month to our relatives in Israel. I remembered my visits to Israel in the late ’60s and ’70s, where there were no paved roads in my uncle’s Moshav and grocery stores had very limited choices with very high prices. I recalled my time in Israel during the Yom Kippur War when the country’s very existence was in peril and when so many of its brave young people lost their lives fighting for their country. This time, I saw prosperity, contentment and confidence everywhere I looked. I felt tremendous pride seeing what Israel has achieved in less than half a century. I was thrilled by the sight of all those office buildings of high-profile tech companies dotting Israel’s skylines. I was proud of the rescue and absorption of the Ethiopian Jews. 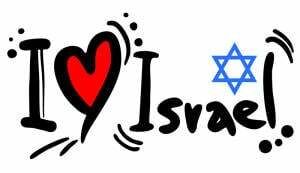 I was bursting with pride reading every day about Israel’s significant contributions in the areas of healthcare, technology, science and the arts. I cried at the sight of Jews praying at the Western Wall in a unified Jerusalem. I was encouraged by the strengthening relationships Israel is forging with major international players. And yes, I was happy that Israelis can now afford expensive SUVs and exotic vacations. Those Diaspora Jews who criticize Israelis’ behavior or demeanor haven’t lived through the deprivation and existential challenges that Israelis have had to endure for nearly three-quarters of a century. What some see as arrogance, I see as an altogether understandable attitude given the neighborhood and the times in which they live. I don’t find it hard to comprehend at all why many Israelis come across as abrasive when it’s more a matter of them having little patience with their Diaspora cousins who think they can lecture Israelis about their shortcomings without the slightest idea of what it means to live in that country and in that region. There is an old Jewish parable about two men visiting a small town far from their own village. One of the men is generous and kind-hearted while the other is mean-spirited and wholly unlikeable. When the two men meet in their village after their return, they’re asked for their impressions of the town they just visited. The first man says he found it to be a delightful place filled with warm and hospitable people. The second man hated the place and its selfish, unkindly residents. Sometimes, expectations are self-fulfilling; other times, simply unrealistic. As for those who detest Netanyahu and his right-leaning politics, I would point out that the prime minister was elected in one the most open and vibrant democracies on the planet. He’s the man Israelis chose to be their leader (in whatever convoluted manner their political structure dictates), and Jews living outside Israel should respect that decision. Even more important, Netanyahu deserves a considerable amount of credit for the unprecedented prosperity and security Israelis now enjoy. Are there serious, credible questions about the prime minister’s integrity? One would certainly think so, judging by the near-daily attacks of the left-leaning media and various politically motivated interest groups in Israel, but the fact of the matter is that no serious charge against Netanyahu has been proven. Quite frankly, even if it were established beyond a doubt that Netanyahu had received cigars and bottles of brandy from his admirers, I wouldn’t lose a moment’s sleep over it. I don’t care who Israel’s leader sleeps with or from whom he gets trivial gifts or what he did or didn’t do 25 years ago. I care if Israel’s leader always acts in the best interests of Israel and if he manages events to further Israel’s long-term security. In this respect, Prime Minister Netanyahu has been one of Israel’s most successful leaders. It also pains me that so many Diaspora Jews have such strong negative feelings about the policies of the Israeli government when they are not privy to all the information that goes into the decision-making and in fact are not in any meaningful way exposed to the possible aftermath of any wrong decision. I have a suggestion for those Jewish critics sitting in their comfortable beach chairs on the Jersey shore: Try to understand the scope and complexity of the existential threats Israel faces every day; don’t add to Israel’s burden by siding with her genocidal enemies; don’t expect Israel to always act exactly as you think they should or to be constrained by moral standards that you would not demand from any other country; do visit Israel so that you can see for yourself her formidable accomplishments (and make sure you visit the border areas to better understand the self-defense imperatives); and do make an effort to comprehend the societal pressures and conflicts inevitably caused by living in such a dangerous neighborhood. 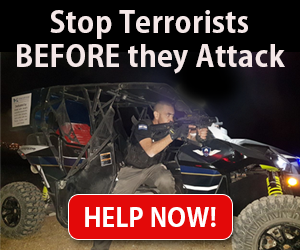 If you still don’t agree with the Israeli government’s actions after experiencing the realities of Israeli life first-hand, then how about showing your commitment to Israel’s well-being by making a contribution to the Jewish National Fund or Beit Halochem (Aid to Disabled Veterans) or Technion University or the One Israel Fund or any of the multitude of institutions and organizations working to improve life for Israelis? Criticizing is easy and cheap. Empathizing, understanding and actually helping, not so much. The writer lives in Montreal, Canada. Opinion: The US Withdrawal from Syria - A Blessing in Disguise? How was 2018 for Israel and the Jewish people?